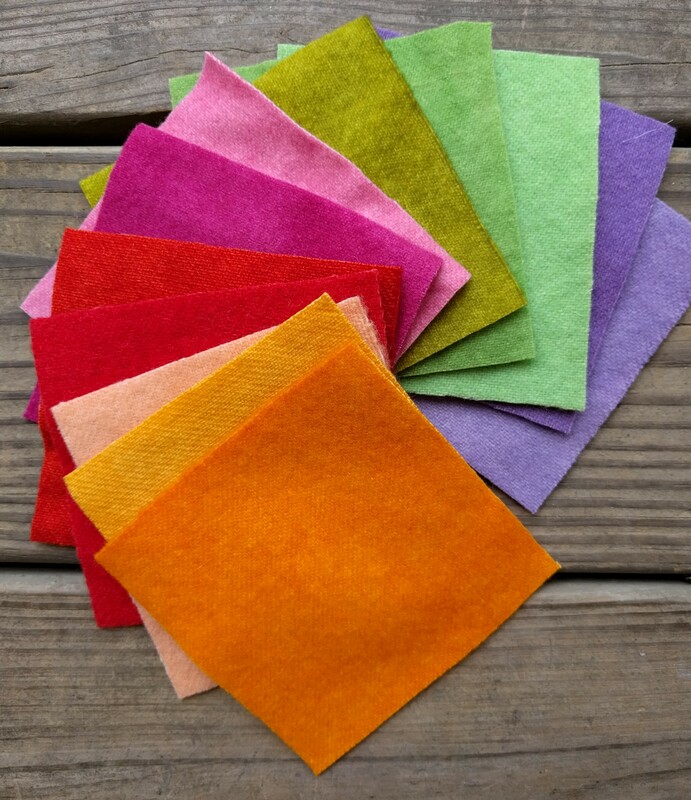 My felted wool is 100% virgin woven wool that has been hand dyed in gorgeous colors by an independent artist. I found my dyer after looking for bright, beautiful colors for my modern quilting and applique projects and not finding exactly what I wanted. I trust her to produce high quality hand-dyed wool the same shade every time. Don’t see the color you’re looking for? Ask me for available options!